Cnoc Soilleir is an exciting joint venture between Ceòlas Uibhist and Lews Castle College UHI (LCC/UHI). Located in the Gàidhlig heartland of South Uist, Cnoc Soilleir will promote and celebrate the community’s Gàidhlig cultural heritage. The project will establish a new focal building at Cnoc Soilleir (the placename meaning “the bright hill”) in Dalabrog, with facilities that have been designed to meet the needs of both LCC/UHI’s educational programmes, and Ceòlas’ community-led activities around Gàidhlig language learning, heritage, culture, music and dance. Cnoc Soilleir will contain a state-of-the-art auditorium and recording facilities as well as dedicated teaching rooms, and an accessible archive and library for joint resources. The building will be shared equally by both organisations; during term time the building will be used principally by the college for their activities, but at weekends, evenings, and during the holidays it will be open for use by Ceòlas and the community. Cnoc Soilleir will support the growth of Ceòlas including the highly acclaimed Summer School, Fèis Chullaig, Song Conference and Symposium. And it will form a vital base for the growth of Ceòlas’ Gàidhlig language activities, in the heart of this Gàidhlig speaking community. Cnoc Soilleir will also support the growth of the hugely successful LCC music programmes and will provide capacity for the delivery of additional Creative Industry courses, enabling further growth in student numbers. For many years our community has looked forward to seeing a centre for Gàidhlig music, dance and culture here in Uist. 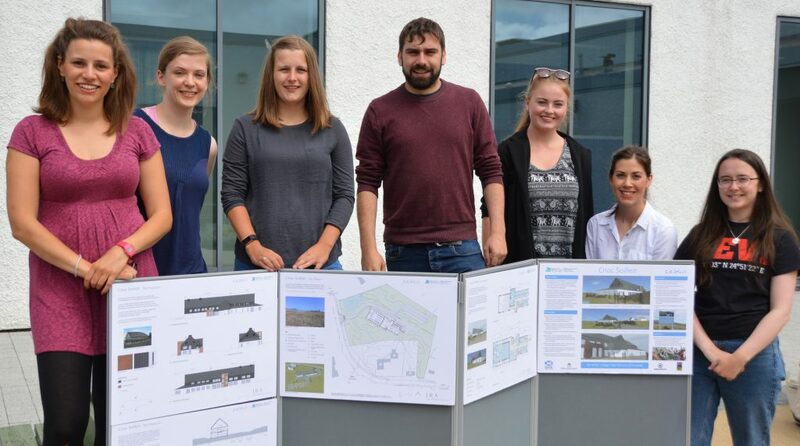 We are excited to be at the threshold of achieving this ambitious project for Uist and it is hoped that the building work will start shortly. In March, 2019, £1.8m was announced for the project from the Scottish Government’s RCG Fund, and £1.1m from HIE. With your support we envisage a place that our community, especially our young people, are proud of; a place where they can learn about and engage in traditional performing arts and where creativity and Gàidhlig culture will grow and flourish. It will help in making Uist an attractive place for people to visit and live and will be giving our young people more reasons to stay in the islands.